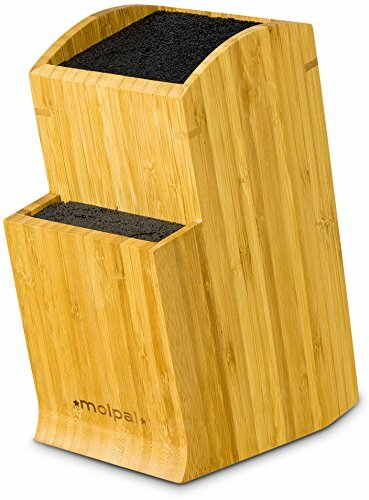 Universal Knife Block Without Knives with a modern stylish unique design! By being a large kitchen universal knife stand you will never again worry about purchasing a knife and finding out it isn't compatible with the slots of your knife holder. You will not be limited to only few brands or sizes of knives when you go shopping for a new knife. Designed to prevent potential dangerous situations you will receive a well-balanced heavy (6lb) sturdy block in your house. 10% OFF if you buy 2 - Apply code "MOLPAL10"
15% OFF if you buy 3 - Apply code "MOLPAL15"
If you have any questions about this product by Molpal, contact us by completing and submitting the form below. If you are looking for a specif part number, please include it with your message.